The Staggering Cost of Pointless Wind Power: Can Australia Avoid Economic Suicide? Wind Energy is Novelty energy. Never meant for “Prime time”! 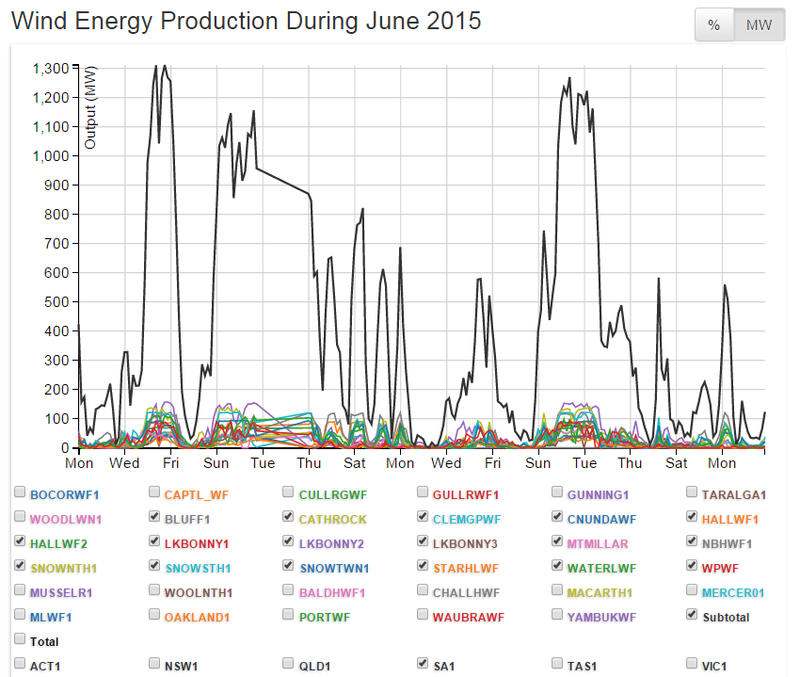 South Australia has earned the unenviable title of Australia’s ‘Wind Power Capital’. For its sins it has seen power prices rocket (the forward price, at $90 per MWh is more than double its neighbour Victoria’s) and unemployment with it: worse is yet to come, on both scores. Then there’s the grid instability and state-wide blackouts that come with routine, total and totally unpredictable wind power output collapses (see above). SA’s few remaining heavy industries – such as Whyalla’s Arrium Steel Smelter and Port Pirie’s Nyrstar Smelter – are terminal, and begging for taxpayer bail-outs. It’s already an economic basket case, dependent on Federal Government subsidies to build submarines and other naval vessels. By reference to its ham-fisted economic management, the choice made by its Labor government to throw all to the wind probably seemed like a clever one, back in 2002. ← Prof Sir David MacKay’s Last Interview, Tells of the Futility of Wind Turbines! I am a member of WAIT-PW and just saw that your industrial wind turbine generation plant owner – NRWC – has applied for amendments to its REA, which MAWT appealed and the ERT dismissed in May 2016. Hi Doris, The wind company has changed hands 4 times in a few short years. This is the third “notice of amendments” we have had also, The first was for the number and size of the wind turbines, and the second two for where the huge poles will go, for the wires. No amount of communication with the wind pushers has made a difference. They care about nothing, but money!